Home » Songwriting » How to Write A Love Song? Most of us have already heard a love song or two that made us feel emotional. Why? Simply because love songs generally talk about emotions. You would surely swoon to the melody of “Yesterday” by Paul McCarthy and be transported back in time upon hearing “Devoted to You,” a song written by Felice and Doudleaux Bryant which the Everly Brothers popularized in the 60’s. You would also wonder how these guys were able to write such timeless love songs. Love songs are experiential because most love songs talk about emotional experiences. They usually generate feelings in their listeners with their well-crafted lyrics and melodies. But how did writers of love songs come up with these great love songs? 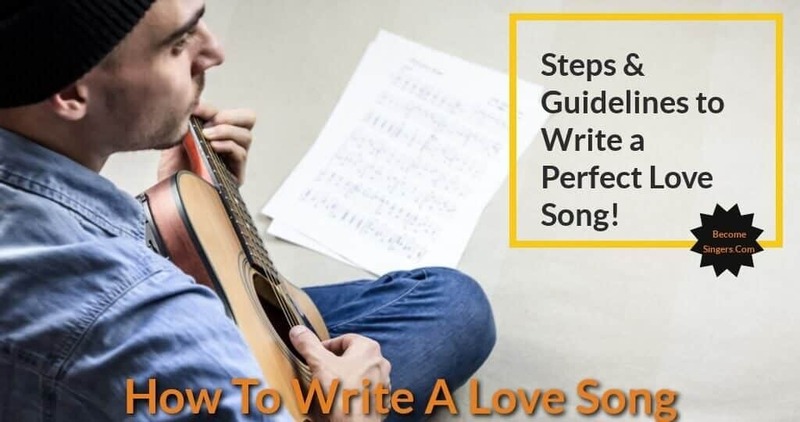 Well, there are tips on how to write a love song, but even if you got all these succinct tips on how to go about writing a love song, if you are not inspired, you will be unable to write the kind of love songs that are truly timeless. It takes a deeper emotional experience of love to be able to come up with lyrics and melodies that would really touch the heart of the listening audience. 2) Plan Your Song and Follow a Story Line! 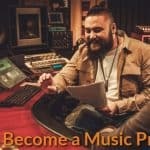 3) Begin Writing Your Song by Figuring Out Your Chorus! 4) Brainstorm the Lyrics of the Song with another Songwriter! 5) Write the Lyrics of the Stanzas of the Song! 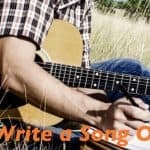 6) Fire Up Your Emotion While Writing the Lyrics! First, you got to undergo a deeply emotional experience of love, of relationship, of separation, of loss, and of pain. This is a prerequisite. If you looked at the early love songs of John Lennon, you would notice that he tended to rationalize in his love songs, and thus the appeal of his love songs was muted. His earlier songs in collaboration with Paul McCartney were all more like childish love songs, devoid of intense feelings. Although those songs charted in the UK and US Billboard Charts, they obviously did not have the deeper emotions of “Yesterday” and “Here, There, and Everywhere.” Moreover, in the early years of the Beatles, they had to borrow songs like “Till There Was You” by earlier artists. In the later years of John Lennon’s songwriting career, after experiencing all the pains and heartaches, his songs like “Woman” and “Jealous Guy” became very emotional, less rational, and are truly real love songs. This fact only indicates that to be able to write a true love song, you need to experience the pains of separation and being thwarted by your lover. Because without such experience, you would be incapable of producing the depth of emotion that a true love song should have. But if you are bereft of these experiences, maybe you can simply visualize and imagine how it is to be in that situation. You can write your lyrics according to what you imagine, but surely, nothing beats a love song that is written extemporaneously after a heartbreak. Songs are written in forms, and it should have its melody and lyrics. If you are inspired, the melody will simply come out of your mouth like fresh water gushing forth from a hidden spring. Once you have a lovely melody, you can then go on putting lyrics onto the melody. Your lyrics should follow the correct rhythm and rhymes so that they would sound pleasant to the ear. Your lyrics should either be rhythmic or free verse likewise. You need not be in love at the moment when writing the lyrics, but it is better to write it when you are in love or heartbroken for surely lyrics and melodies would simply pour out of your mouth and mind if that is the case. I remember trying to write songs for my band when I was not inspired, and it seemed that the muses had indeed abandoned me. I might have copped out a song or two, but those songs paled in comparison to the songs I had written when I was heartbroken or uninspired. I also remember how Paul McCartney wrote the most-covered song “Yesterday.” He narrated that he was so sad the night before and during his sleep, he dreamt of writing and humming a song. He then woke up with the melody still ringing in his ears. He then wrote the lyrics and asked his friends if they know of a song with the same melody and lyrics to figure out if his new song is unique. Most great songs were written first with the chorus. Afterward, the stanzas or verses were added. But if you are a seasoned songwriter, you would surely first determine your chorus. Once you have your chorus, you can then write down the first stanza, the second stanza, and the third stanza. You can also add a bridge or an interlude. The very kernel of a love song is the chorus. It is that which gives life to a love song. All other parts of the love song revolve around the chorus. Of course, it doesn’t mean that you should make the other parts less impressive and meaningful. But what I am saying is that if you have a good chorus that has a lot of hooks and strong recall, you would surely have a perfect love song. You should carefully choose the keywords of your chorus. These words should have a strong recall. They should also be well-placed and should elicit strong emotions in the listeners. The lines of the chorus should also have good rhymes and should be easy to pronounce. Your poetic talent would inevitably come to play on this part of the song. If you are not a poet, you can ask the help of a poet to configure the jumble of words that you have included in your lyrics. Poet’s advice would surely be invaluable to you! As a songwriter, I have a friend who is more poetical than me. Hence, I consider the advice of this friend as always invaluable to me when I am writing a song. To create the necessary hook in the chorus and in the stanzas, you need to choose the words that you are going to use carefully. Sometimes, you would lose that facility in finding the right words to fill in the gap in your lyrics. Hence, you should collaborate with someone and brainstorm the right words. 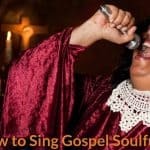 It is easier to complete the lyrics of the chorus and the whole song if you have someone who is also good at writing songs. Always remember how the Beatles wrote their songs during their early days. John and Paul always collaborated in their songwriting endeavors, and sometimes, you would never know which lyrics were of John, and which were of Paul. But generally, they had always copped out together some of the best song lyrics ever written by a band. Since the chorus is the focal point of the song, the stanzas should lead to the focal point. They should also build towards the chorus. 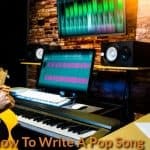 If you are writing a ballad, for example, the first stanza should slowly build towards the chorus, like a novel that gradually moves towards the climax. The chorus is the climax of the love song. Hence, the stanzas should gradually give way to the chorus. The stanzas should also be well-thought of. Although in my experience, I feel safe whenever I already have a chorus that has a strong recall and hook. Sometimes I would leave a chorus untouched for several weeks without writing its stanzas. Then, I would go back to it and sit down to write the stanzas. The lyrics of the stanza should also flow naturally with the chorus. It should also intensify the emotion leading to the chorus. It should communicate feelings, and for this reason, you should use words that elicit emotions. 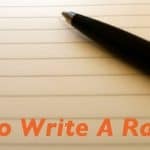 You should also write from the heart, and this is imperative if you want to reach a wider audience with your love song. Always remember that the greater number of listening audience are truly emotional. If you have time, you can compare the love songs of Paul McCartney and John Lennon, and you would readily understand that Paul’s love songs appeal to the majority of girls and emotional people. On the other hand, the love songs of John are more rational and make use of words that are rational instead of emotional. Hence, they are less popular to the majority of listening public but appeal more to the rational. In the love songs of the latter years of John, you would notice that he usually veered towards greater emotionality. But still, his rational way of writing songs left its vestige on his later love songs. You need to fire up your emotion and recall those emotional experiences that were associated with your song. In writing a love song, you need to continuously fire up your emotion, like a guy who is grilling a steak! As the embers begin to smolder away, you need to feed your grill with additional charcoal to thoroughly grill the steak. Similarly, when writing a love song, you need to intensify your emotion to bring out the natural flow of your emotion into your lyrics. However, like a true artist, you should ensure that you convey deep emotions in your lyrics to ensure that listeners could readily empathize and relate with your words. Always remember that the feelings of love, pain, loneliness, isolation, and many other deep feelings are universal feelings that are experienced by every person in this world. If you crafted your lyrics and packed them with great emotions, your love song would surely be a hit. There are songwriters who first write the lyrics of the song. Once the lyrics are set, they then think of a melody that would fit into the lyrics, and they claim that this is the best way to write a song. However, there are songwriters who first think of melodies. Once they figured out a good melody, they then begin to write lyrics for that melody. This is also a good way to create a song, and I, as a songwriter, often follow the latter style of writing a song. My other band mate does it the other way around using the first method by first writing lyrics and then complementing it with a melody. But both methods are very effective. Depending on your preference, you can either follow any of these two methods of writing a love song. The ultimate step, however, in writing a love song is the process of integrating your lyrics with your melody. Your goal is to make your love song so cohesive that the lyrics perfectly fit into the melody. The process of integrating these two components of a love song is definitely the last challenge in writing a love song. If you want to emphasize your lyrics, you should make your accompaniment as simple as possible. Most popular love songs do not use many accompaniments. Sometimes a simple acoustic guitar accompaniment or a piano would do. Lastly, if you do this integration well, you would surely produce a love song that is timeless and a real classic.